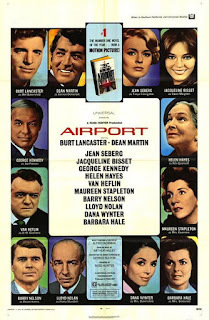 Watching these classic disaster flicks in order, it’s interesting to note that the first film was actually nominated for Best Picture, and in spite of its loony soap opera machinations and relationships, the viewer actually gets caught up in the main plotline of Van Heflin’s severely depressed would-be bomber planning to blow himself to pieces in order to for long-suffering wife Maureen Stapleton to collect the insurance. 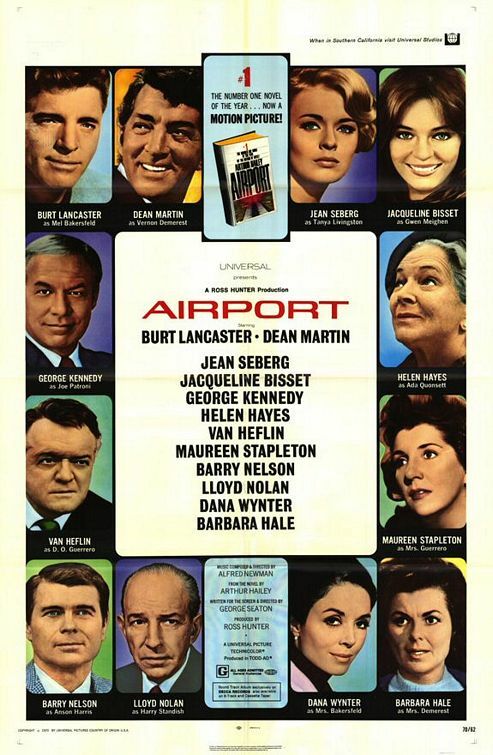 Supporting Actress Oscar winner Helen Hayes is a hoot as senior citizen stowaway as well. 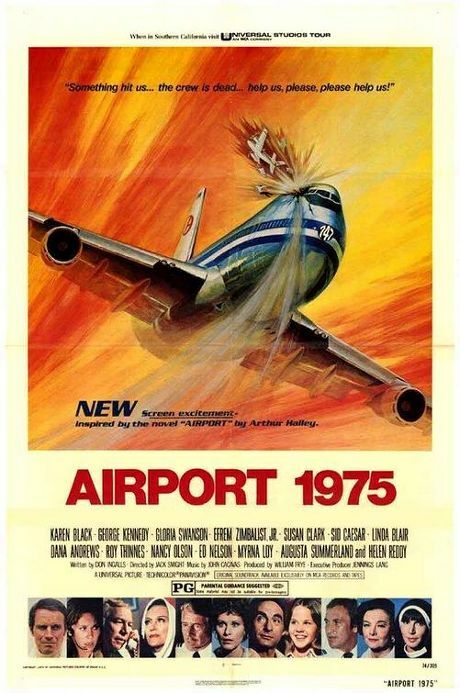 This is the one that sparked the '70s all-star disaster movie trend. 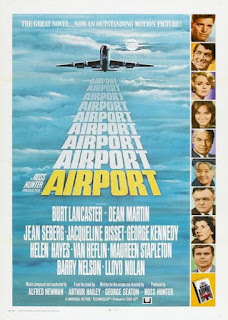 Right here. 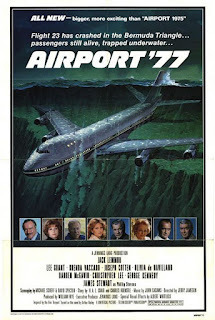 The series takes an unqualified tailspin into campsville with its very next offering, where lazy-eyed stewardess Karen Black ends up piloting a jetliner with main squeeze Charlton Heston coaching her from the ground with instructive transmissions, each one ending with “baby.” Yes, this is the one where singin' nun Helen Reddy serenades a post-Exorcist Linda Blair. 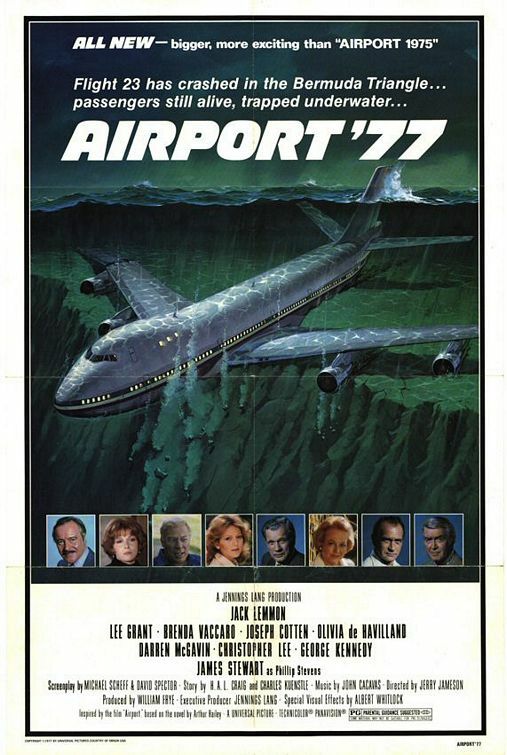 Believe it or not, the “Airport meets The Poseidon Adventure” plot device of Airport ’77 is actually more plausible overall than its immediate predecessor, and the acting and script more convincing, with pilot Jack Lemmon and designer Darren McGavin leading the charge. Christopher Lee plays a fairly heroic role here, with Lee Grant braying caustic as his boozy harridan wife. 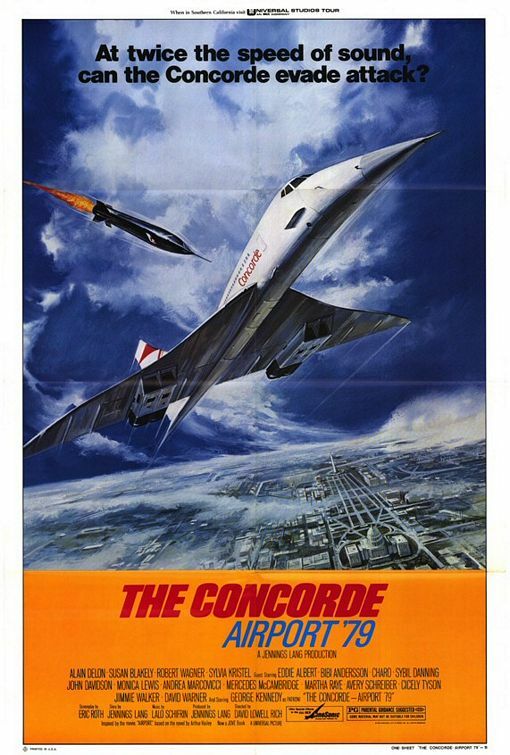 However, the final hoorah is a doozey, with George Kennedy (the only actor to appear in all four films, always as good ol' Joe Patroni) piloting the supersonic jet alongside Alain Delon, flying upside down and all around in order to avoid baddie Robert Wagner’s evil missiles. 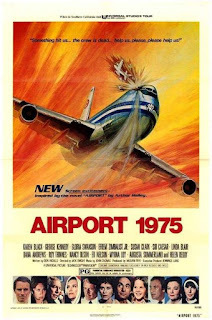 All in all, a slice of cinema history accented by some mighty ripe cheese.